Crossfire Safety Glasses Are Both Stylish and Effective Safety Glasses Available in Clear, Tinted, Mirror, and Bifocal Lens. 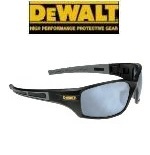 DeWalt Safety Glasses- Guaranteed Tough! Meet The ANSI Z87.1 + 2003 High Impact Standards And Have Hard Coated, Scratch Resistant, Impact-Resistant Polycarbonate Lenses. 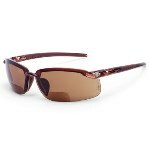 They Also Provide 99.9% UV Protection. DeWalt Gloves Are "Built Tough", Just Like The Tools. 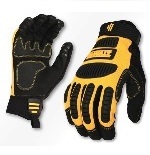 Find The Right Glove For Your Job. Hearing Protection. Ear Muffs and Custom Molded Ear Plugs. 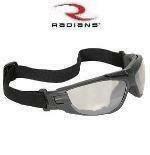 Radians Bifocal Reading Safety Glasses Goggles Include The Cuatro RX Goggles, The C2 RX Glasses, And The Rad Sequel Rx. 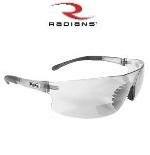 Radians Safety Glasses Are Available in Many Styles and Lens Colors. 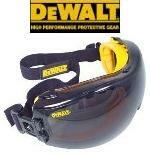 Safety Glasses- See Our Full Array Of Safety Glasses and Goggles From Radians, Ergodyne and DeWalt. 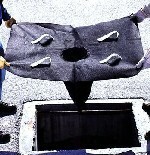 Spill Containment by Ultratech. See Our Drain Guards, Drain Seals and More. Call us For Your Special Needs.